We’re excited to have a new location for our RV Sales and RV Service Department! You can easily find us, right by Cousin Gary Homes which is just off Highway 273 (South Market) in Redding, CA. 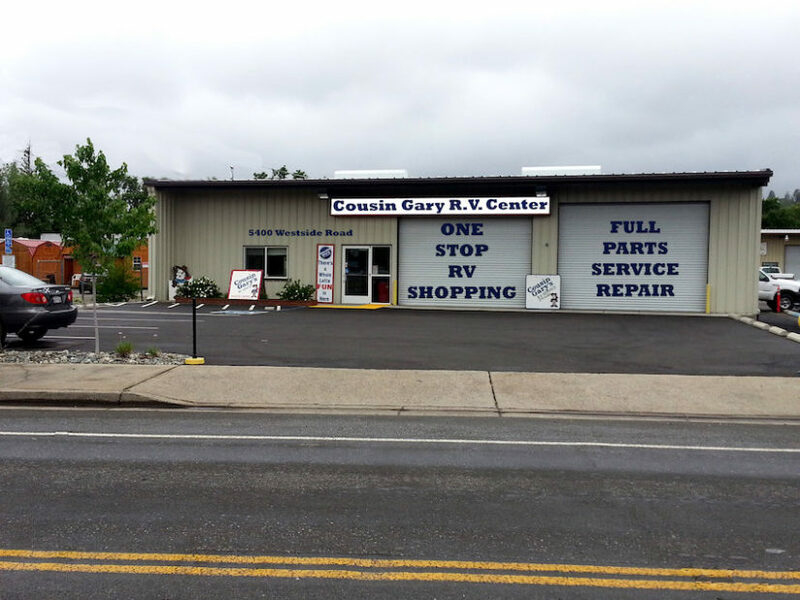 Our RV Sales Department’s new address is 5460 Westside Road and our RV Store and Service and Repair Department is now at 5400 Westside Road, Redding. To celebrate our new location, we’re having a HUGE Sale! Come join us for this special occasion! Come by and see what’s new, browse through our large selection of RV’s and trailers, and find the perfect travel home! While you’re in the area, it’s a great time to see one of the Cousin Gary Homes which is just up the street from our new RV location. Remember, we always treat you right!